Water: 120 gal. – aluminum, 2 tanks, 60 gal. ea. 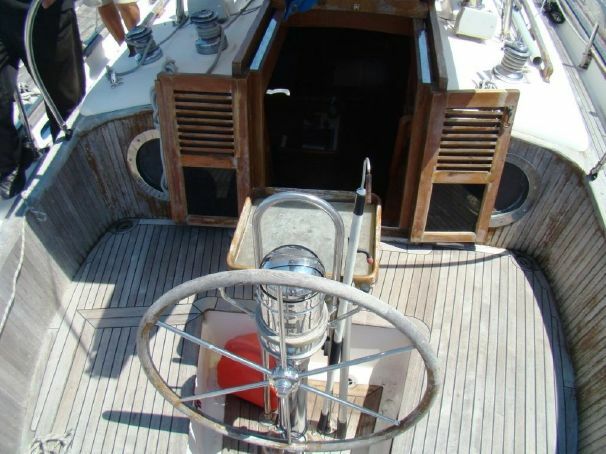 The interior of the vessel is finished in teak. It is comfortable, bright and airy, with 6 ft. 4 in. headroom and accommodations for six adults. The large head with electric flush commode and shower is forward, followed by the head vanity and sink to starboard. The master stateroom with double wide pullman berth is on the port side, with under-berth stowage, 6 drawers beneath, and a hanging locker to starboard. 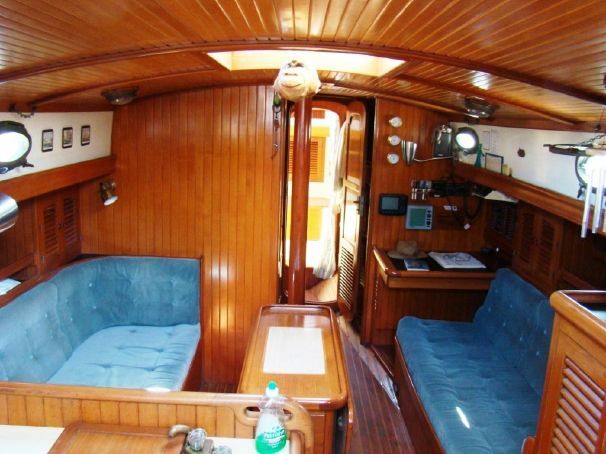 The mid-ship salon contains a chart table forward on the starboard side, facing settees port and starboard, a drop leaf dinette table on centerline and a galley aft on the port side. 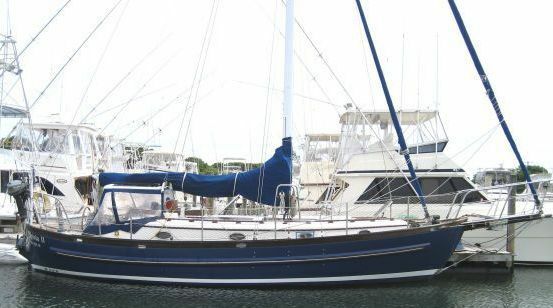 The galley contains a double sink, ice chest/refrigerator and propane stove top and oven. The guest stateroom/cabin with a double berth is aft on the starboard side. Cabin ventilation is provided by the eleven opening portlights on the cabin sides, by the hatches above the head and salon and by the cabin door.